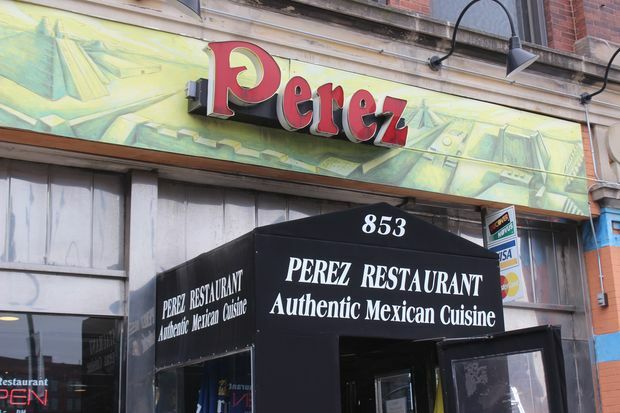 Perez Restaurant will close Sept. 30 after almost 33 years at 853 W. Randolph St.
WEST LOOP — Perez Restaurant, a beloved Mexican restaurant on the West Loop's hottest strip of eateries is closing after almost 33 years. The casual restaurant, 853 W. Randolph St., will close Sept. 30, after owner Jose Perez said he could no longer afford the rent. "My lease is up, and they want more money for the space," Perez said, although he declined to cite specifics. "I'm not paying as much as everyone else." Perez is looking forward to a little time off, but said he's unsure whether or not he'll reopen in a new space. "I'm too young to retire, and I'd like to keep going at least another 10 years," said Perez, 58. "But I'm tired." News of the closure was first reported by Eater Chicago. Just where Perez would reopen is uncertain. His restaurant had a second location for a time at 1163 W. 18th St. in Pilsen, but he closed it last year and leased the building to another restaurateur, not knowing he would be needing a new place himself all too soon. "If this guy doesn't succeed, I will probably [reopen] there," Perez said Thursday. Perez said he didn't want to close, but the hike in rent left him little choice. "They want a fancy restaurant here, I guess," Perez said. "They came and bought the entire block, and they have new ideas [for it]." 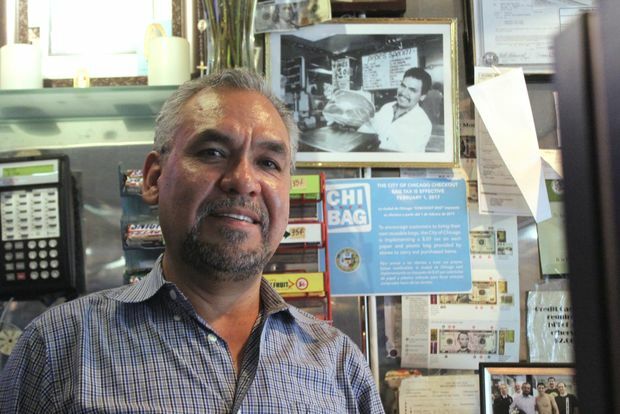 Either way, Perez said it's sad to say goodbye to his West Loop customers, some of whom have been coming to his restaurant for more than 20 years. Perez first opened at 853 W. Randolph St. as Pepe's Retail Meats in 1985 in what used to be a neighborhood focused largely on meatpacking and butchery. As the West Loop changed, Perez adapted, turning the location into a casual Mexican eatery known for its low prices and large portions. A three-taco dinner is $10.95, with other dinners ranging from $9.95 for a taco salad to an $18.95 Mexican steak. Individual tacos are $3.50, significantly lower than the flashier competitors across the street like De Cero and Cruz Blanca Cervecería that charge up to $5 for a taco. "My tacos are double the size for less money, and the flavor is different," Perez said. "Mine is authentic." It's becoming increasingly difficult to find casual restaurants in the West Loop, and it's getting harder for those with cheap eats to survive, Perez said. But it's vital for diners to support the "authentic" restaurants in Chicago if customers want to see them stick around, he said. 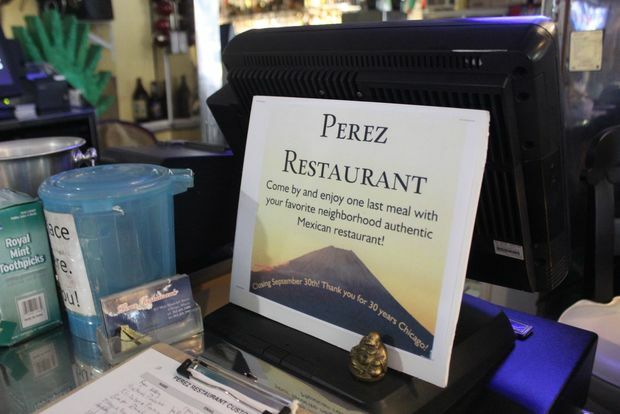 "If you want to go to a Chinese restaurant, you want to eat [real] Chinese food," Perez said. "Brazilian or Japanese, whatever. It's always important to go out and eat in a restaurant you know is going to be authentic." Perez said he is looking forward to a break from the demanding life of a restaurant owner, but still eager to reopen. While his children are all grown and now working mostly in the medical field, Perez said there's little doubt he'll find a way to forge ahead with his restaurant. In the meantime, he's thankful for the customers who supported him over the years and hoping to get the chance to say goodbye to them during his last two weeks on Randolph Street.